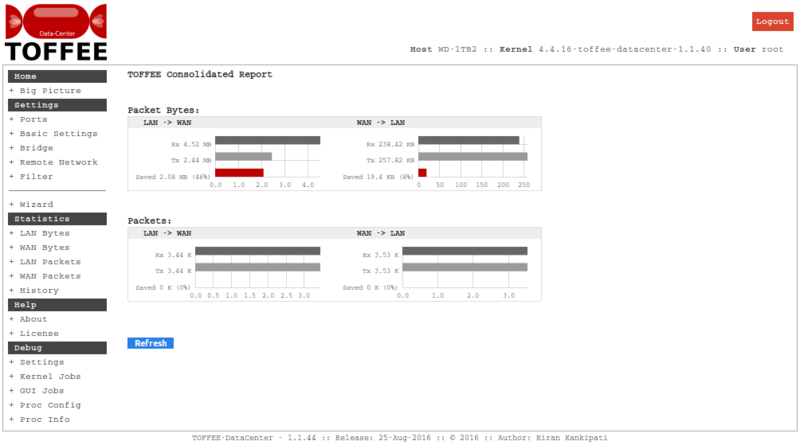 Today I have done a test setup so that I can able to connect my Android Samsung Tab via TOFFEE DataCenter. Below is my complete test topology of my setup. For demo (and research/development) context I configured TOFFEE DataCenter in engineering debug mode. So I do not need two devices for this purpose. Here is photo of my setup. 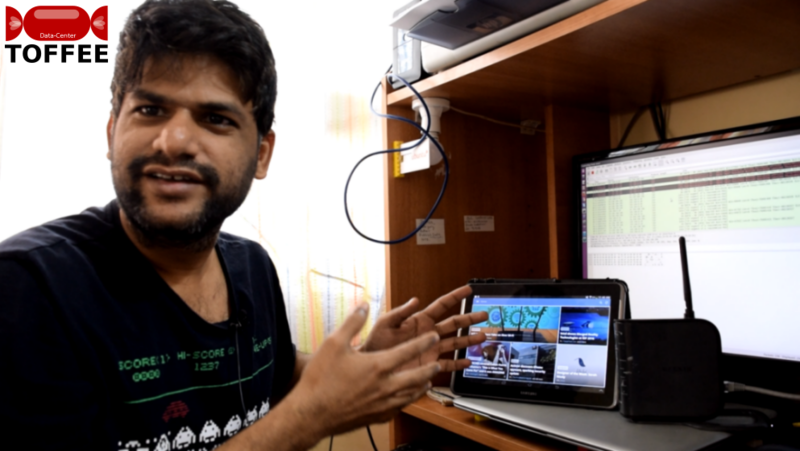 The monitor is connected to the TOFFEE-DataCenter server which is an Intel Core i7 5820K system. One end of the TOFFEE-DataCenter is connected to my main home wifi-router which is connected to the Internet. The other port of the TOFFEE-DataCenter is connected to the test Belkin Wifi Router. To which via WiFi my Samsung Android Tab is connected. I tested with various apps in my Samsung Tab such as Clash of Clans, News 360, Instructables and so on. I found Clash of Clans using SSL (HTTPS or TLS) traffic initially to authenticate and exchanges data to-and-fro to supercell servers. 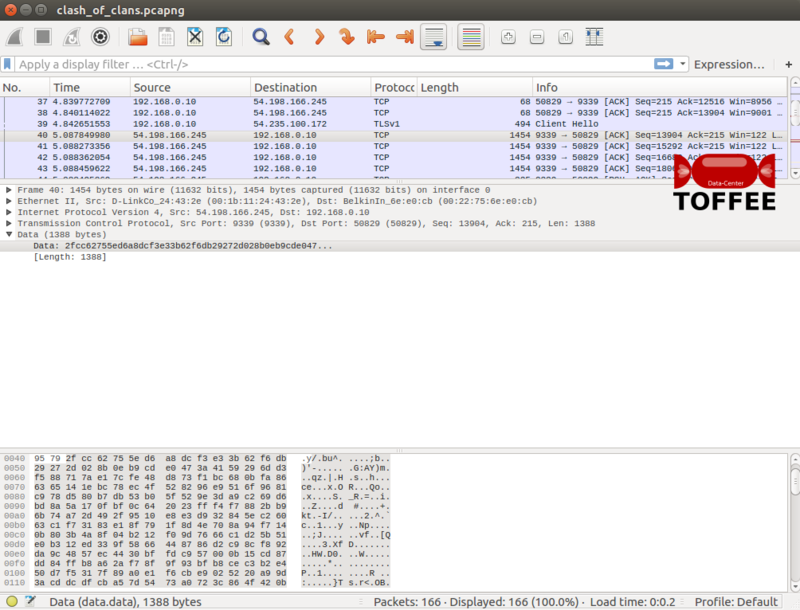 You can see here a TLSv1 packet exchange of Clash of Clans app captured in the TOFFEE DataCenter server. 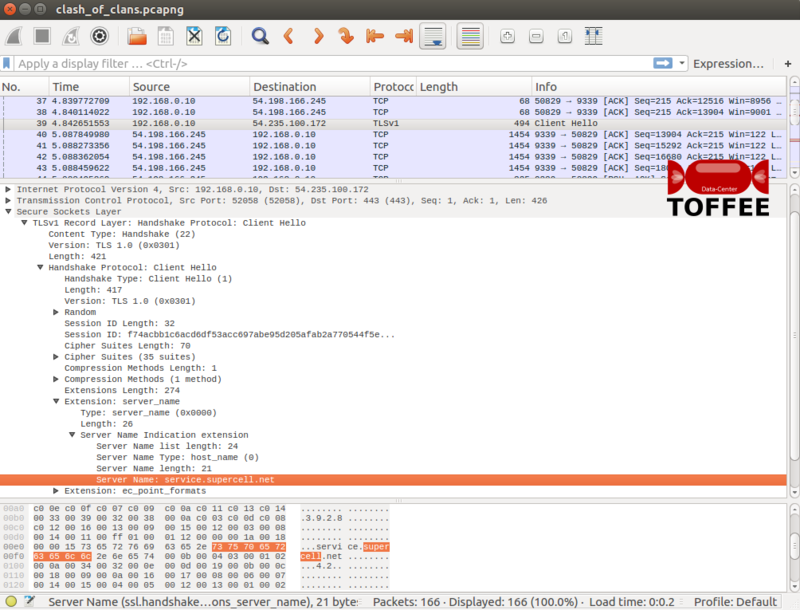 And in between it exchanges the game data (metadata) in custom TCP ports (in this case port 9339) as you can see below. 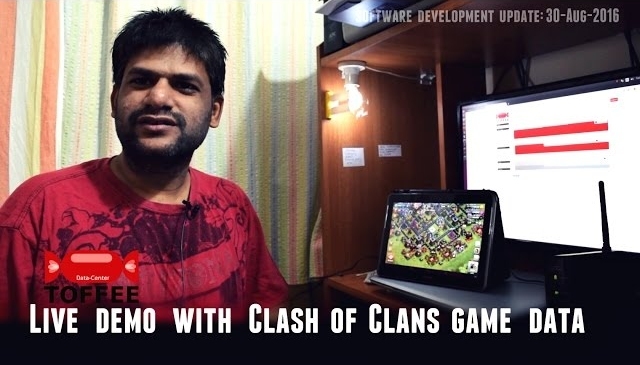 Followed by Clash of Clans I tested the TOFFEE DataCenter performance with News360 Android app. I found News360 app is using standard port 80 (HTTP). 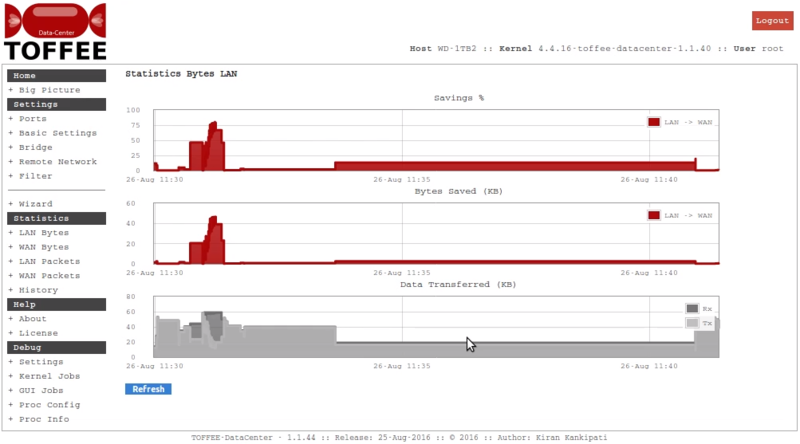 And here is the overall bandwidth savings (and stats) captured in TOFFEE-DataCenter. 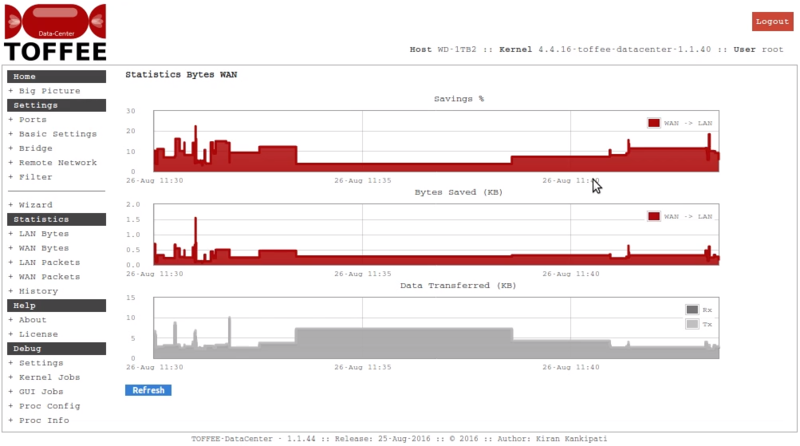 Since most of the data is one-directional i.e Server --> Tab. One side (Internet to Tab) it shows the data in MB and on the other side (Tab to Internet) since it usually involves HTTP-GETs and TCP ACK packets, it shows data in KB units. Here is the instantaneous performance charts of the same.